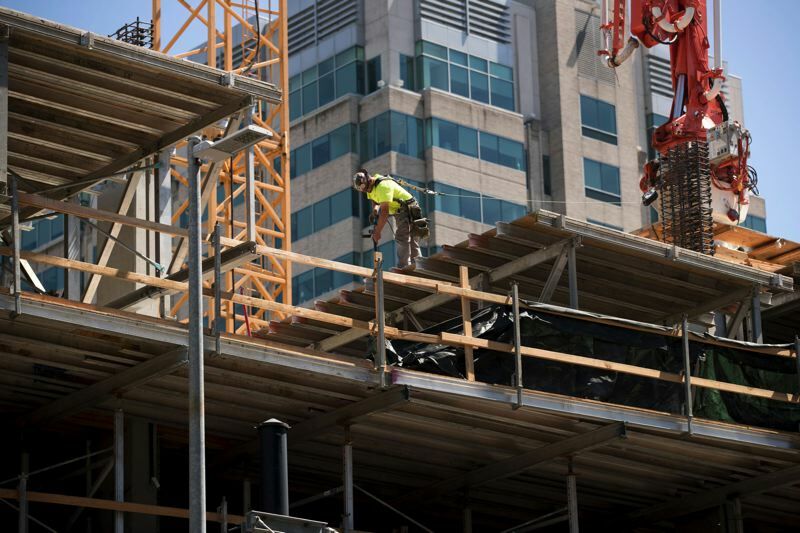 Public, private construction employees can't keep up with demand of unprecedented building boom. Local builders and their government regulators are so busy these days, they are unable to keep up with all the demands on them. "It's a problem on both sides, and I'm afraid it's going to get worse before it gets better," says Justin Wood, first vice president of Fish Construction NW, a local homebuilder. The Bureau of Development Services is on track to issue a record level of permits this year. But as construction activity has accelerated in recent years, BDS has been hampered by a shortage of employees. Despite having more employees than ever, dozens of critical positions are currently vacant, including permit processors, plan reviewers, and residential and commercial building inspectors. The same is true in other construction-related city bureaus that must also review and approve permit applications, including the Portland Bureau of Transportation and the Portland Water Bureau. In fact, a majority of the city's permit review teams did not meet their self-imposed goals of holding their first meetings on all projects with developers in June, the most recent month for which such statistics are available. Goals were not completely met in 59 of the 102 categories documented in the report. The number of reviews where the deadlines were missed ranged from just one to 118. "The bureau has been challenged to meet its service level goals while striving to provide the best customer service," reads a recent BDS overview report. City leaders have long admitted that BDS is frequently slow in issuing and tracking permits. The city council has funded a Portland Online Permitting System that is currently being designed and implemented in hopes of increasing efficiency. More recently, Mayor Ted Wheeler told the Portland Tribune editorial board on July 13 that he is considering taking over BDS and a number of other construction-related bureaus to make them work more closely together. Interviews with builders, bureau officials and others in the construction industry reveal such steps are unlikely to solve all of the problems, however. Many of the delays are caused by a severe lack of qualified workers. And, as Wood admits, similar problems also plague the private sector. Construction firms like his are having trouble hiring enough workers for their projects. So are the architectural and engineering firms they frequently hire to file and follow up on the permit applications. As a result, Wood says, when a permit application needed to be revised in the past, his architects and engineers would only need two to four days to comply. "Now it's two to four weeks, and that causes other delays in the process," Wood says. According to Wood and others, building companies and construction-related city agencies lost employees during the Great Recession, which officially started in late 2007 and ended in mid-2009, even though the effects dragged on for much longer. Because construction practically came to a halt during and after the height of the downturn, the lack of qualified workers wasn't very noticeable at first. But Wood says the workers didn't come back as the economy recovered, and relatively few new ones have taken their place. Adding to the problem, many of the experienced workers who stayed are leaving the workforce as they reach retirement age. "The last two or three years have been really bad, now that we're back to building at full capacity," Wood says. The shortfall is continuing even though industry and government officials have repeatedly pointed out that many good-paying jobs are unfilled. Although community colleges and trade organizations have launched or expanded training programs, not many young people are taking advantage of them. "You can offer all the courses you want, but you can't make people take them," says Wood, who notes that also means construction-related city bureaus are even having trouble hiring new inspectors to sign off on the numerous steps that projects must complete. The issue surfaced at the most recent meeting of the appointed Development Review Advisory Committee, which advises BDS on development-related issues. Wood chairs the committee, which includes developers, neighborhood representatives, construction-related bureau officials and others. Because the agenda was light, BDS Director Rebecca Esau suggested the group hold a roundtable discussion on issues of concern to them. It quickly turned to the shortage of qualified workers. "Even commercial builders said they are having trouble filling positions," Wood says. The problem is amplified by the pace of construction in Portland. 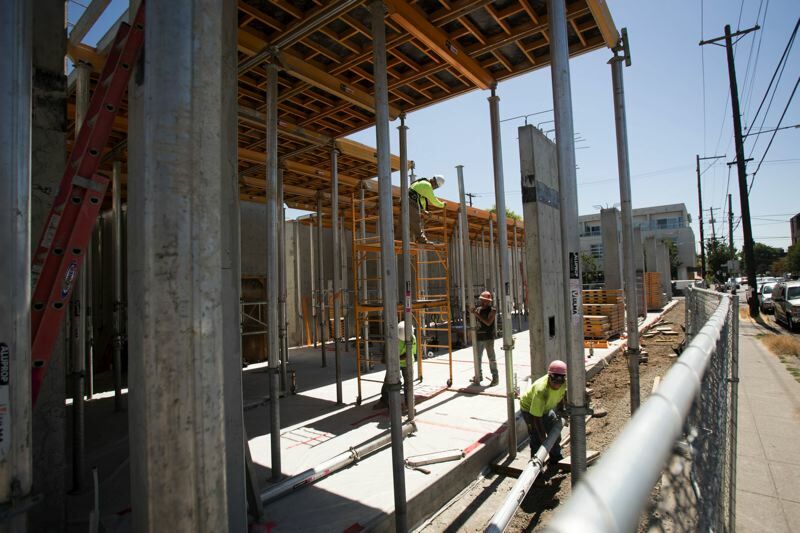 The city is on track to issue 13,059 building permits this year — a 43 percent increase from the 9,103 issued in 2012. According to BDS, that is an unprecedented workload level, both for its employees and those of its partner agencies. The projects have been happening in almost all parts of town. Just in terms of housing, in recent years, more than 500 new units have been approved in St. Johns, over 700 have been approved for the Con-Way project in Northwest Portland, and over 4,300 have been approved in the Lloyd District. 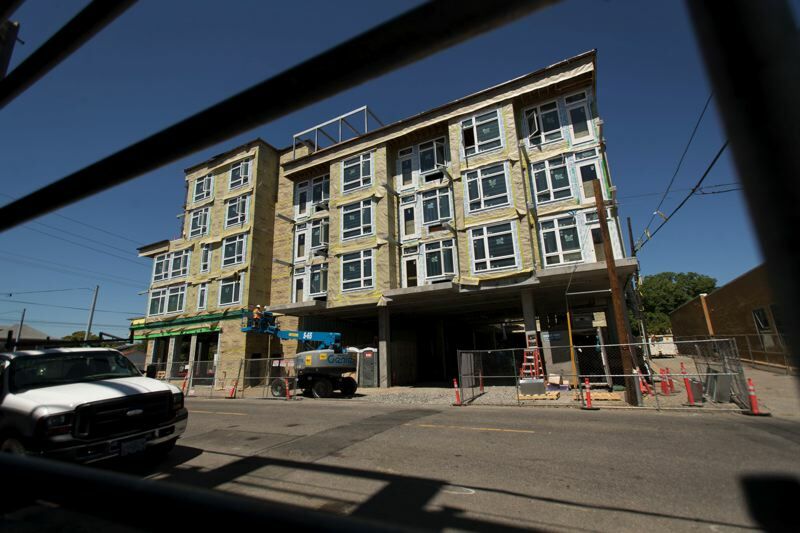 Many new apartment buildings have also been built throughout Southeast, North and Northeast Portland, all of which required permit approvals. As expected, the inspections required for all the permitting has increased along with them. According to BDS, a total of 183,709 inspections are expected to be conducted this year, a 37 percent increase over the 134,391 conducted in 2012. A number of high-profile projects are taking a different kind of toll. Employees with city construction-related bureaus have also been assigned to help with the preliminary work in the early stages of projects of citywide interest. They range from the numerous Portland Public Schools renovation projects to the expansion of Providence Park and the pending redevelopment of the Broadway Corridor, which includes the U.S. Post Office distribution facility at the west end of the Broadway Bridge bought last year by Prosper Portland, formerly known as the Portland Development Commission. Time spent helping to prepare for those projects is time that cannot be spent processing existing permits. Similar future projects include redevelopment of 18 acres owned by OMSI around its visitor center and the expansion of Adidas Campus in North Portland. Along with Portland Public Schools, public institutions are planning nearly $2.3 billion worth of development projects over the next few years, including OHSU, TriMet and the Port of Portland. There is no easy solution. Even the online permitting system that has already been funded is not expected to be fully operation for another year, at the soonest.